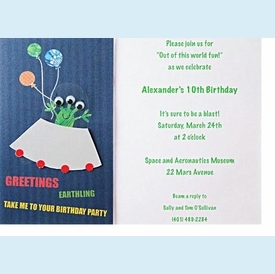 This invitation is simply out of this world and your little partygoers will be delighted to receive it. 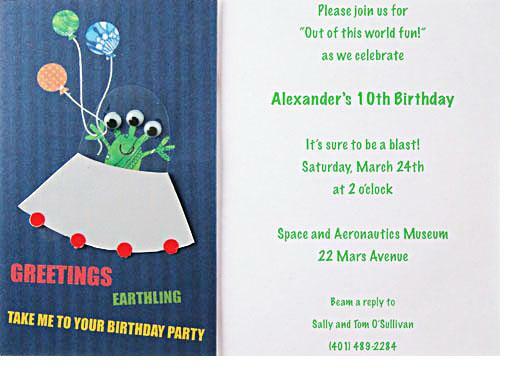 The alien comes complete with three wobbly eyes. CLOSEOUT...Only 6 boxes left! SIZE DIMENSIONS: 5 7/8" x 8 1/8"